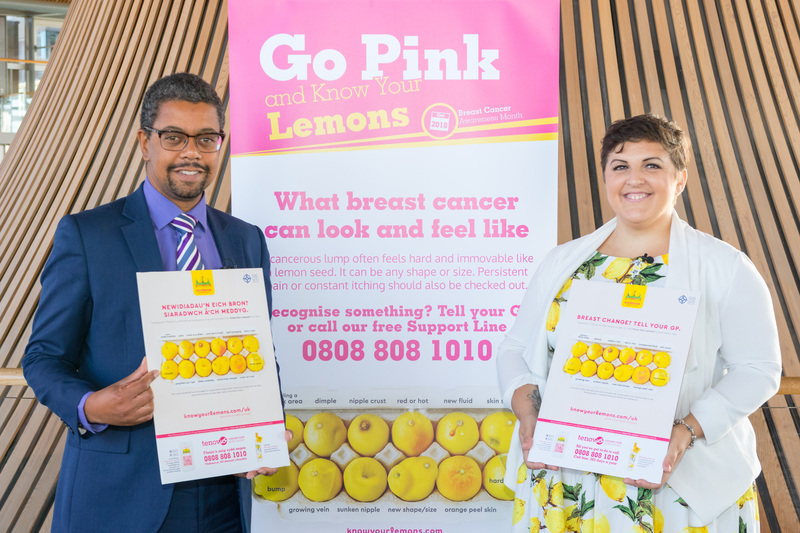 Tenovus Cancer Care has announced a new partnership with Worldwide Breast Cancer to launch their Know Your Lemons® breast cancer awareness campaign in Wales. 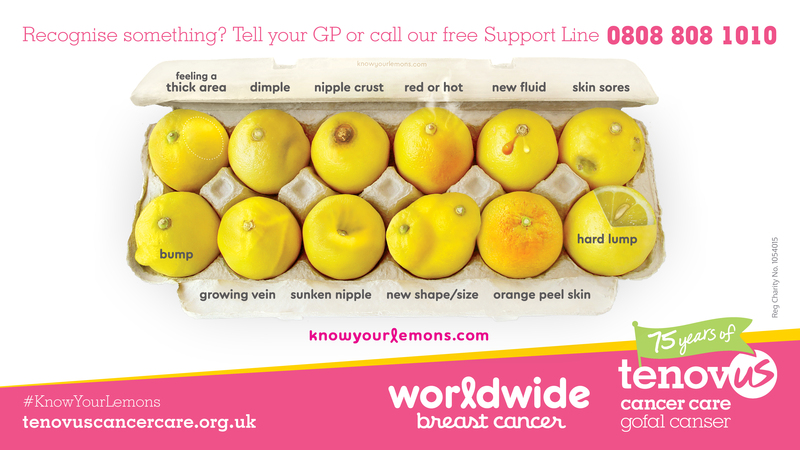 Its striking Know Your Lemons image, which is based on extensive patient research and advice from oncologists around the world, shows 12 common and less common symptoms of breast cancer. She is now an ambassador for the Know Your Lemons campaign in the UK and met with Cabinet Secretary for Health and Social Services Vaughan Gething at the Senedd on Monday 1st October to discuss the roll-out of bilingual Know Your Lemons posters to every GP surgery in Wales.